Phnom Penh, 19th October 2018: Smart Axiata presented its Sustainability Report 2017 today at Topaz, showcasing key highlights of its national socio-economic impact throughout that year to multi-stakeholders, including H.E. Tram Iv Tek, Minister of Posts and Telecommunications, various ministry representatives and development partners. Access http://smart.com.kh/sustainability-report-2017/ to download the Smart Axiata Sustainability Report 2017. For more information on Smart’s sustainability and corporate responsibility initiatives, follow Smart’s “Smart for Cambodia” Facebook page at www.facebook.com/smartforcambodia or visit www.smart.com.kh. Smart Axiata Co., Ltd., Cambodia’s leading mobile telecommunications operator, currently serves 8 million subscribers under the ‘Smart’ brand. Smart Axiata is part of Axiata Group Berhad, one of Asia’s largest telecommunications groups. Smart is at the forefront of mobile technology advancement in Cambodia. Smart was the first network to introduce 4G LTE in 2014, 4G+ in 2016 and 4G+ with HD Voice (VoLTE) in early 2017. In mid-2017, Smart introduced cutting-edge 4.5G, manifesting its data leadership position in Cambodia. Smart also provides 2G, 2.5G, 3G and 3.75G mobile services as well as international roaming across more than 190 countries. Its extensive nationwide network coverage stretches to more than 98% of the Cambodian population. The company is also rapidly transforming itself into a digital lifestyle brand, having introduced many innovative offerings and lifestyle entertainment value propositions. This includes various international partnerships, with brands as diverse as Universal Music, Apple, Facebook and iflix, as well as digital services including SmartLuy, Smart Insurance, SmartPay, Smart Music and SmartNas. Smart aspires to become Cambodia’s Digital Champion, while playing an active role in socio-economic growth. The company’s workforce consists of more than 1000 local and foreign experts. 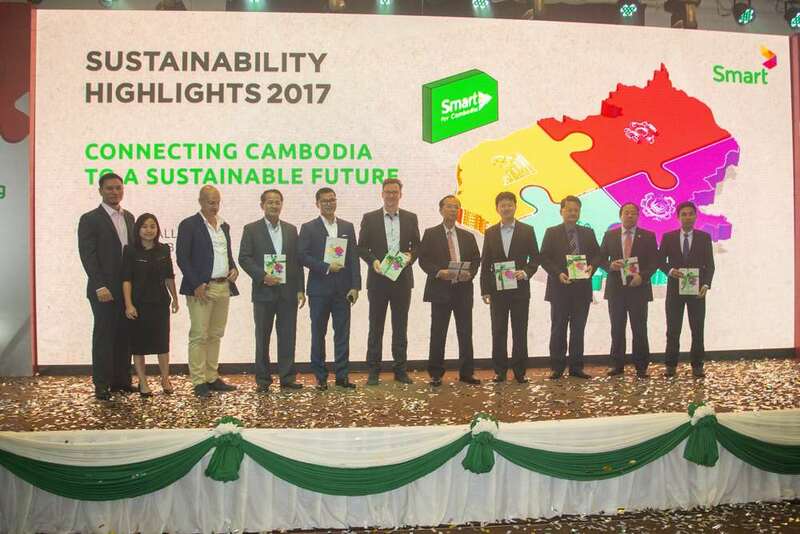 Smart is committed to its customers, employees and the people of Cambodia, in delivering its promise of enriching their lives through world-class networks, exceptional digital experiences and through significant corporate social responsibility engagements.